Oil and gas magnate T. Boone Pickens on oil prices and the 2016 election. 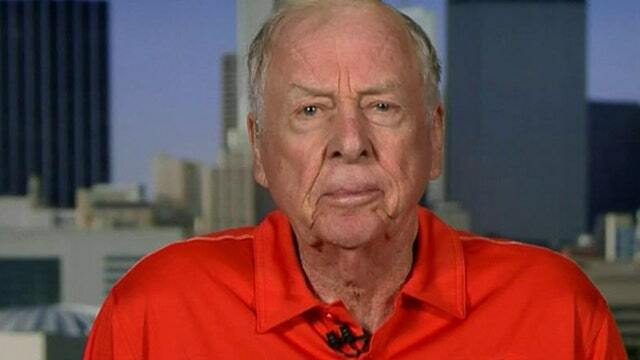 In an interview on FOX Business Network’s Cavuto: Coast to Coast, oil and gas magnate T. Boone Pickens said he is not worried about the impact of China and Greece on oil. Pickens also commented on the swelling inventory of natural gas, saying the United States is “over-supplied” and “overwhelmed.” The United States Natural Gas Fund (NYSE:UNG), which tracks the price of natural gas, has dropped 42% over the past year. Pickens also reminded us that the cheapest energy can be found in the U.S.
As for the global economy, Pickens is cautiously optimistic.